The U.S. Senate is trying to put President Obama’s Clean Power Plan on hold in advance of international climate talks in Paris, but Obama’s veto pen is at the ready. The U.S. Senate has voted to disapprove the Clean Power Plan, a centerpiece of U.S. action on climate change, weeks before the Paris climate talks. Yesterday, the U.S. Senate voted to disapprove the Clean Power Plan (CPP), a centerpiece of U.S. action on climate change and the first federal effort to rein in carbon pollution from its largest source, coal-fired power plants. Senate Majority Leader Mitch McConnell made no secret about his plans to use the “disapproval resolution” in an attempt to block the CPP. The President indicated that he will veto the resolution, but given that international climate talks are starting at the end of this month in Paris, the timing of this Congressional action may turn out to be the real threat. What did Congress vote on, exactly? A disapproval resolution is a tool Congress bestowed upon itself back in the 1990s. Using a CRA resolution, Congress can take advantage of an expedited process to send any major government rule to purgatory, meaning that the rule itself and any “substantially similar” rule will not take effect without a future act of Congress. This gives Congress a second and third bite at the apple, since the rules put forward by the president are based on laws that were made by Congress in the first place—in the case of the CPP, the Clean Air Act. The Clean Power Plan sets different goals for each state to reduce its carbon emissions by 2030. 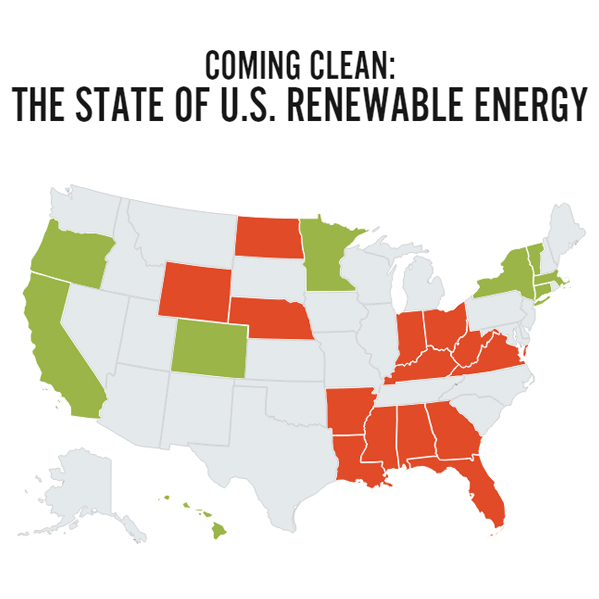 See how your state stacks up on the road to a cleaner energy future. While President Obama will veto this Congressional resolution, having the United States Congress on record disapproving the biggest single step our nation has ever taken to combat climate change is unfortunate to say the least. To the rest of the world, it may look like the American government’s right hand doesn’t know what its left hand is doing. The silver lining here is that the Clean Power Plan will still be the law of the land. Moreover, the CPP, while major, is just one piece of the Obama administration’s Climate Action Plan. The plan also includes improved fuel economy standards for new vehicles, standards to reduce methane emissions from landfills and the oil and gas sector, reductions in the use and emissions of hydrofluorocarbons (read: extremely potent Greenhouse Gases) and stronger energy efficiency standards for appliances, equipment and buildings. Senator McConnell may have the votes to disapprove the Clean Power Plan, but he cannot make it disappear. Whether he likes it or not, the president has used his authority under current laws, passed by the legislature, and that bold action should speak for itself in Paris.